Islamic Society of Basking Ridge v. Township of Bernards. The Becket Fund for Religious Liberty (n.d.). Retrieved from https://www.becketlaw.org/case/islamicsocietybaskingridge/. Islamic Society of Basking Ridge v. Township of Bernards. (Apr. 04, 2019). https://www.becketlaw.org/case/islamicsocietybaskingridge/. "Islamic Society of Basking Ridge v. Township of Bernards." The Becket Fund for Religious Liberty. Accessed [Apr. 04, 2019]. https://www.becketlaw.org/case/islamicsocietybaskingridge/. A suburban New Jersey town denied a small Muslim congregation the right to build a new mosque where it could meet to worship. So the congregation went to court. Mohammad Ali Chaudry is a Pakistani immigrant who has lived with his family in Basking Ridge, New Jersey for nearly 40 years. Chaudry, who has a Ph.D. in economics from Tufts University and is a retired AT&T executive, has a long history of community engagement, including serving on the town’s board of education and as mayor from 2004 to 2007. He is also the founding and current president of the Islamic Society of Basking Ridge, a small Muslim congregation. In 2008, Chaudry began looking for property to build a larger space to hold the Society’s prayer meetings and Sunday school for children. 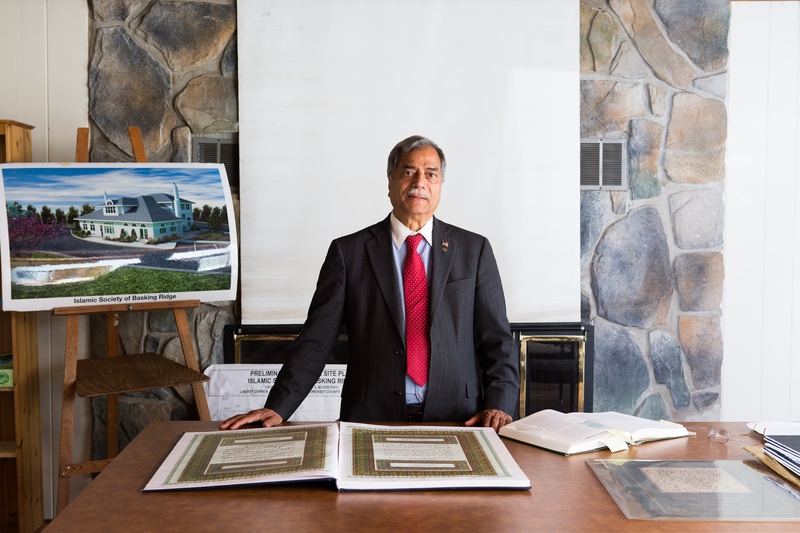 A few years later, Chaudry purchased a 4-acre site zoned for houses of worship and began planning construction. The small, unassuming mosque was designed to fit in with the residential neighborhood, without a traditional dome and with discrete minarets that looked like chimneys. In 2012, after the Society filed its application for a permit with the Township’s Planning Board, what ensued was four years of local bureaucratic quagmire. The Board held a record 39 public hearings during which time the Society faced hostility and vandalism from members of the local community. The Society’s application met every requirement from the Township Planning Board, but the goal posts kept changing. For example, the 150-congregant mosque was required by local ordinance to have 50 parking spaces—the same amount required for churches and synagogues of the same size. But local bureaucrats changed the rules to require more than double that amount of parking for the mosque. In January 2016, the application to build the mosque was ultimately denied. In March 2016, represented by Patterson Belknap Webb & Tyler LLP, the Society sued the town for violating the Religious Land Use and Institutionalized Persons Act (RLUIPA) and the First and Fourteenth Amendments. In May 2016, the Society asked the court to rule in its favor. Becket filed a friend-of-the-court brief supporting the mosque, which was signed by a diverse coalition including the American Association of Jewish Lawyers and Jurists, Baptist Joint Committee for Religious Liberty, Becket, Center for Islam and Religious Freedom, Ethics and Religious Liberty Commission of the Southern Baptist Convention, Interfaith Coalition on Mosques, International Mission Board of the Southern Baptist Convention, International Society for Krishna Consciousness, Muslim Bar Association of New York, National Asian Pacific American Bar Association, National Association of Evangelicals, New Jersey Muslim Lawyers Association, Queens Federation of Churches, Sikh American Legal Defense and Education Fund, Sikh Coalition, South Asian Bar Association of New Jersey, South Asian Bar Association of New York, and Unitarian Universalist Legislative Ministry of New Jersey. On November 22, 2016 the Department of Justice filed a lawsuit against the Township of Bernards over the denial of zoning approval for the mosque. On December 31, 2016, the court ruled in favor of the mosque’s right to build. In May 2017, the Township settled the lawsuits, agreeing to treat all houses of worship equally.